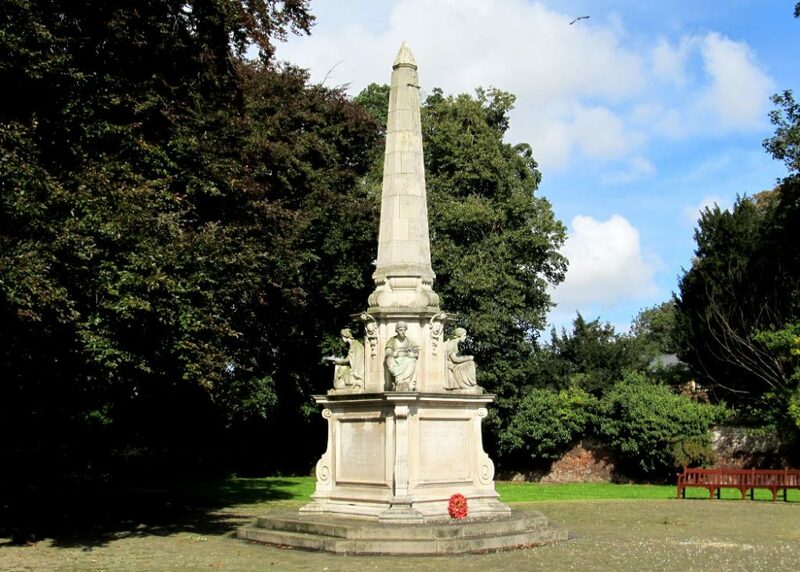 There are many Memorial plaques around the town but this Memorial Garden on Hengate is Beverley’s official location for commemorative services and the laying of wreaths. 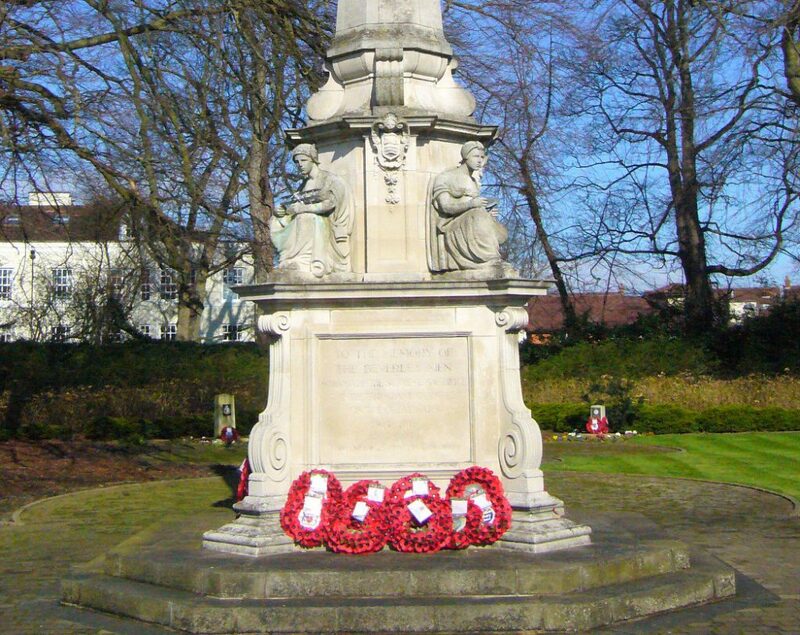 It contains the names of the people of Beverley who have died defending this country, not only in the two world wars but in actions around the world up to the present time. 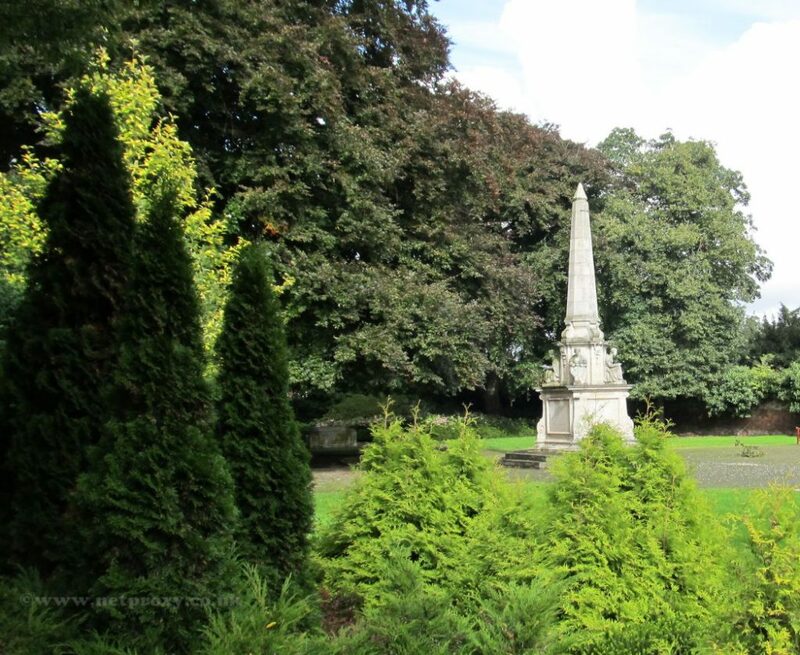 The garden was gifted (plus an endowment) to the town of Beverley by Major Clive Wilson D.S.O. To be used specifically for a war memorial and garden of rememberance. Although it is in the centre of Beverley the garden is a place for quiet reflective thought, a place to relax, meditate, contemplate. Perhaps think how our lives would have been different if the people named here had not given their lives for our futures. Bare Trees, the time of year makes a great difference to the look & atmosphere of the Memorial Garden. 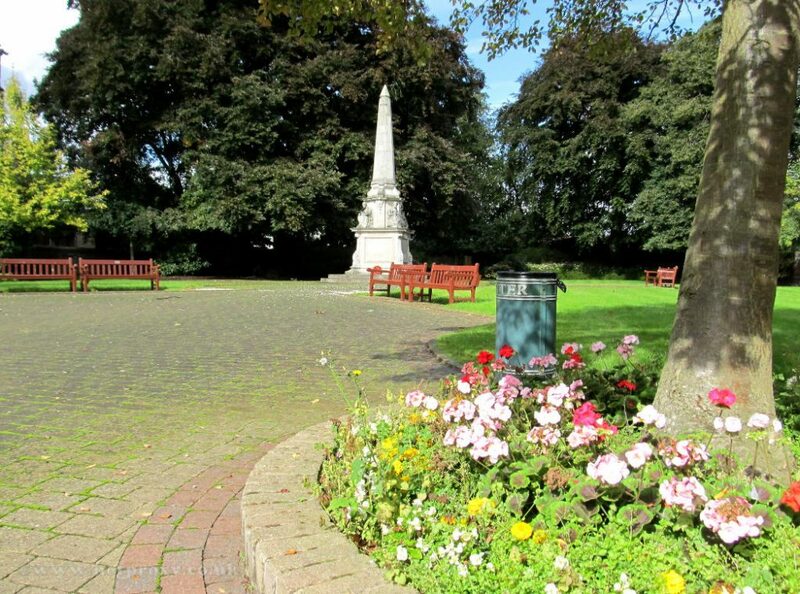 In 2015 a working party of East Riding of Yorkshire Councillors plus Beverley & District Civic Society members undertook the renovation of the War Memorials in Hengate Garden. 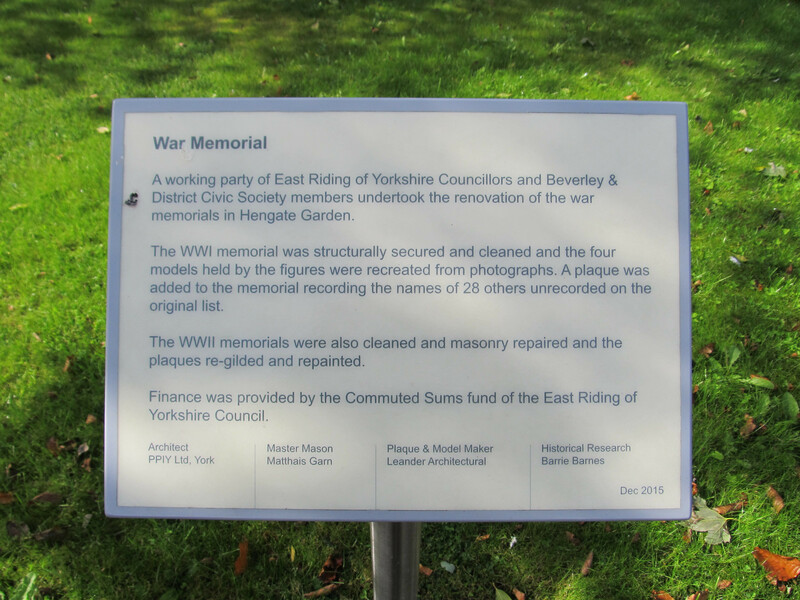 The World War 1 Memorial was structurally secured and cleaned and the four models held by the figures were recreated from photographs. A plaque was added to the memorial recording the names of 28 others not shown on the original list. The WW2 memorials were also cleaned and masonry repaired and the plaques re-gilded and repainted. 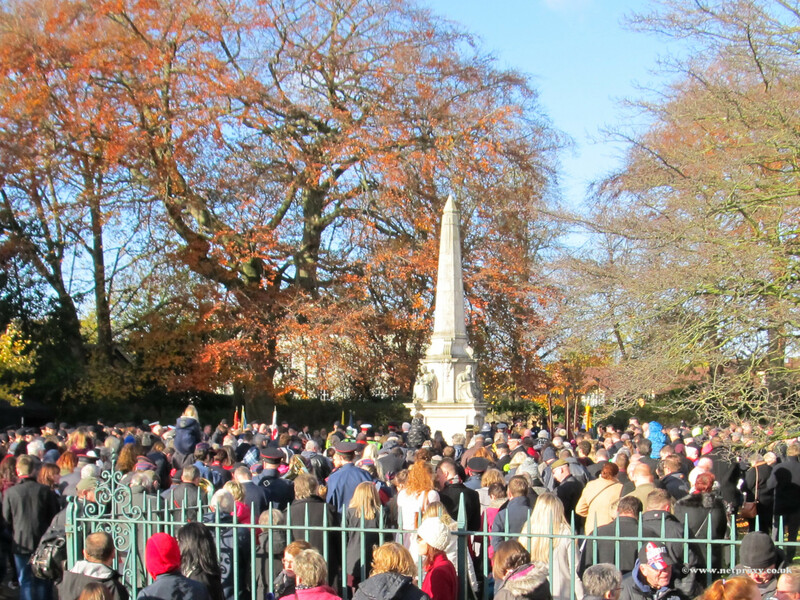 The War Memorial Garden filled to capacity for the Remembrance Sunday Service and laying of wreathes 12th November 2017.